“Isn’t that one of the happiest countries in the world?” friends ask me when I mention my trip. In Bhutan, happiness isn’t relegated to self-help books and mantra chanting yogis (although there is some of that), it is for everyone. And this is what captured my interest when I learnt about the kingdom during a positive psychology lecture; it’s what captures most travellers to Bhutan. This tiny nation has put life satisfaction and psychological wellness at the forefront of their public governance and political concerns. And I think it’s working. The flight into Paro International Airport is stunning. We weave through evergreen mountains and hop over grand snow-capped peaks. Is it embarrassing to admit that I cried a little? Disclaimer: I cry easily and it’s possible altitude was a contributing factor, but honestly, it’s difficult to not well up in one of the most literally breath-taking environments I’ve been in. Known locally as Druk Yul, or Land of the Thunder Dragon, Bhutan is unique for more reasons than one. This is a country without a single set of traffic lights (they put some up in Thimphu which before long were taken down because they were ‘too ugly’). It is isolated. Bhutan did not have any diplomatic relations with another country until the 1960s. Television and internet were banned until 1999. Technology is now, slowly but surely, seeping into all corners of the culture. Still, the government is careful to not let anything get out of hand, from their strong handed emphasis on cultural preservation to their outright ban on smoking; Bhutan can’t exactly be described as a ‘land of the free’. But the Bhutanese love their government. As of 2008 Bhutan became a constitutional monarchy, and the current prime minister, Tshering Tobgay, seems generally well received. And the royal family are unanimously considered the lifeblood of the country. One of my Bhutanese friends told me that she considers the fourth king, father to the current ruler, a spiritual saviour. “I pray to him,” she says. I mightn’t be religious but I don’t doubt that the Bhutanese have been blessed when it comes to good governance; to put it all down to luck would seem foolish. Centuries ago, the founder of Bhutan, Tibetan lama Zhabdrung Ngawang Namgyel, is known to have said, “if the government cannot create happiness and peace for its people, then there is no purpose for the government to exist.” That is benevolent governance if I’ve ever seen it. And it is from these very roots that the idea for Gross National Happiness (GNH) evolved. What is the point of a government that cannot keep its people happy and healthy? During an interview with the financial times of London, the much beloved fourth King famously mentioned that to Bhutan, GNH is more important than GDP, pointing out that GDP alone cannot guarantee happiness and wellbeing. Sangay Chopel, who works at the Centre for Bhutan Studies (CBS) in Thimphu, briefly explained to me the survey methods used to produce a comprehensive CBS report every few years. It was far from the simple census questionnaire I expected. The measurement and study of Happiness in Bhutan today is a thorough process; they’re not playing around. There are nine components within the GNH, some are subjectively measured, others objective and quantifiable, and they all emphasise a range of different values, from the spiritual to the material. These nine components include cultural diversity and resilience, community vitality, good governance, ecological validity, living standards, education, time use and balance (i.e. work life balance), psychological well being (measured in terms of both cognitions and emotions), and health. But ultimately, the GNH is not just a broad philosophy for development of states, it is also personal ethos which, even at an individual level, can help a person shape their life journey and realise their happiness and well being by restructuring their values towards the GNH. And internationally, the idea is taking off. Honestly, for a country of around 700,000 people, the complexity of this analysis is astonishing. Researchers at the CBS admit that the relationship between these variables is nonlinear, but believe that this reaffirms their decision to examine happiness holistically. All of which is why it was so surprising for me to discover that there is a considerable blind spot within the GNH domain of health. It turns out that alcohol use, and abuse, is a huge problem in Bhutan. “The highest number of cases admitted in hospitals is due to alcohol,” says Bhutan’s national health secretary Dr Ugen Dophu, and alcohol is now considered the leading cause of death in the country. Dr Tashi Tobgay, a Pathologist at Thimphu’s national referral hospital, says that liver cirrhosis and other alcohol related issues represent significant burdens on the healthcare system in Bhutan. The government is beginning to realise the magnitude of this health concern and are investing in preventative public health measures. However, the issue is culturally entrenched and therefore difficult to address. There are only four psychiatrists in the country, says Dr Tobgay, and each one of them wakes to a hospital room full of patients with alcohol related issues. Why do the Bhutanese drink so much? For social, cultural, traditional or religious reasons? Dr Chencho Dorji, the country’s first psychiatrist, suggests that a multitude of individual and social factors, and the way they relate to each other, can lead to heavy drinking. Dr Dorij describes the phenomenon of associating alcohol with happiness as a fictitious conjecture we have all bought into: the alcohol-happiness myth. 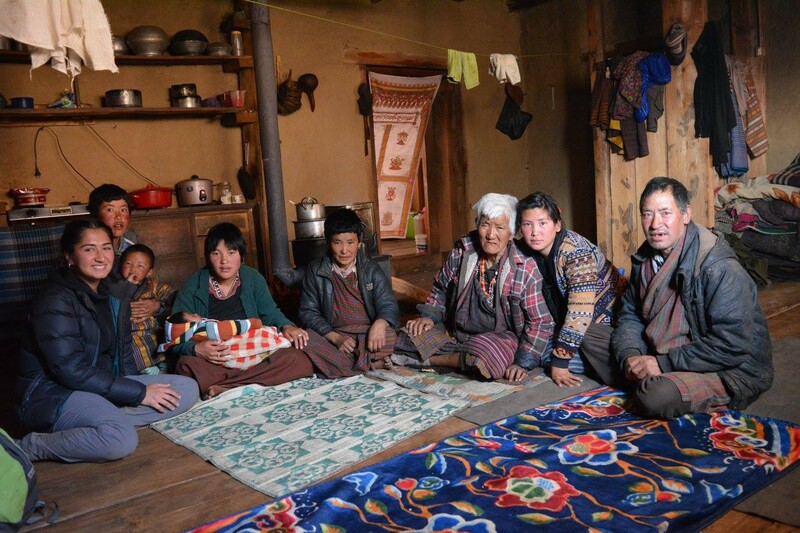 And Dr Dorji, having spent years researching and treating the effects of alcohol use in Bhutan, believes that the behaviour is having an effect on GNH in a number of ways. For starters, its economic impact is predicted to be significant, particularly in agricultural areas, as local councils believe around half of all grain harvests are used to brew alcohol for the home. What’s more, Bhutan is home to one of the highest numbers of bars per capita in the world and one of the highest per capita consumption rates in the developing world. Still, alcohol generated revenue does not cover its overall cost. Drinking is associated with a range of social issues including unemployment, family neglect and abuse, crime and accidents. It is a leading cause of death and disability. What is the relationship between alcohol and happiness? I spent some time thinking about this during my experiences working in the space of alcohol and addiction with Hello Sunday Morning, an organisation concerned with both of these things. So it was interesting to come face to face with the same issues in Bhutan, where they are grappling with them in unprecedented ways. As recently as January 2017, a statement was released by the health secretary regarding the course of action in relation to policy around alcohol. Meanwhile, my friends in Bhutan tell me that public health campaigns are being rigorously implemented to address drinking behaviours. While these actions are similar to those taken by international governments, they retain a valuable asset in their toolbelt: GNH data. Perhaps we might learn something by observing how the Bhutanese tackle this issue. What is most evident is that even one of the happiest countries in the world isn’t perfect. Still, while Bhutan doesn’t have the answers, they are absolutely on the way to finding them.